Yugoslavia had a problem with alcoholism. Or at the very least, that’s what the country’s psychiatrists generally thought. During the Communist era (from the end of the WWII through to the country’s collapse in 1991), leading Yugoslav physicians routinely warned about the population’s rapid descent into widespread alcoholism. Year after year, the statistics on drinking seemed to grow. Yugoslavs were consuming more and were beginning to drink heavily at a younger age. Even more problematically, excessive drinking seemed to be spreading to new populations, with women and the country’s substantial Muslim population increasingly taking to booze. For a society constructing its own unique path toward Communism, this problem threatened to derail much of the progress its leaders felt they were making. 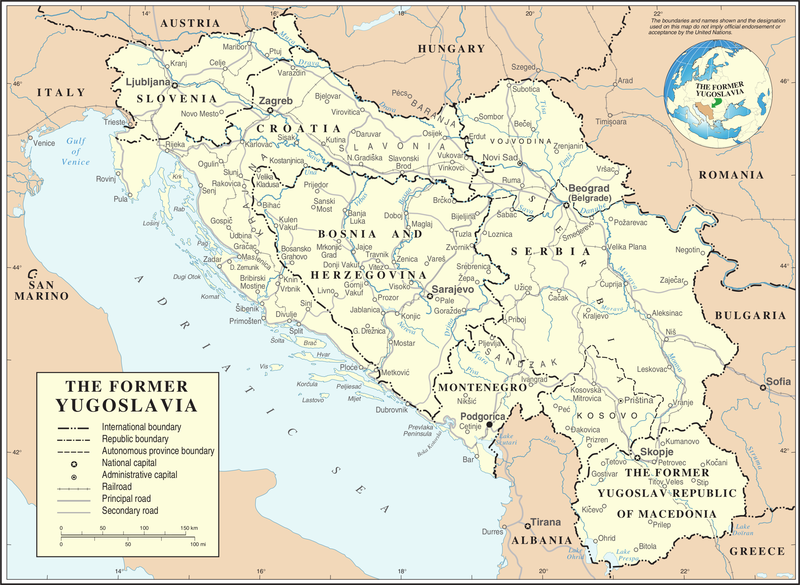 Rapid industrialization and urbanization were profoundly reshaping the country and President Josip Broz Tito had carved out a significant niche in global affairs, helping to forge a Third Way between the power blocs dominated by the USA and USSR. In short, Yugoslavia was on the up. Alcoholism, in the eyes of some of the country’s most prominent health authorities, threatened to bring it down. After all, drinking on the job imperiled productivity and led to debilitating workplace accidents, fueling disability claims and reducing the size of the workforce. It sparked fits of rage and violence that destroyed families and led to all manner of criminal activities. As some practitioners cautioned, it even jeopardized the country’s military defence capabilities and ultimate survival – both of which depended upon the mass mobilization of citizen militias in the event of attack. Most Yugoslav physicians who took an interest in alcohol consumption were far more sympathetic and looked to broader social explanations to account for the epidemic in problem drinking. Many felt that the very industrialization and urbanization that represented progress also brought along some negative repercussions; most significantly, many peasants struggled to make the transition to urban life. The loneliness of the city could be solved by the pub and, when combined with the production of cheap drinks on an industrial scale, it meant that many former villagers spent their hard earned dinars at drinking establishments. For others, the reverse was true: widespread alcoholism could be blamed on the country’s lack of modernity. The peasant mentality, ingrained through traditional drinking songs and longstanding practices of home-distillation, ensured that choosing not to drink was culturally inappropriate, at least for most men. Despite the changing landscape of Yugoslav life, these theorists insisted that the country remained largely rural and backward – alcohol would continue to play a central role in life until this basic fact had changed. What could be done? In light of the warnings issued by the psychiatric community, it was clear that ignoring the problem was not an option. The possible solutions were wide-ranging. One commentator saw the roots of the problem as stemming from the abundance of plum trees. Cut down these trees and the source of sljivovica – a plum brandy immensely popular in the region – would be eliminated. Other members of society got involved and anti-alcoholism campaigners, although never necessarily pushing for outright prohibition, stressed the need to change the social environment in the hopes of altering public attitudes towards consumption. November 1961 marked the first “month of the struggle against alcoholism,” with the Yugoslav League Against Alcoholism launching a public campaign that relied upon films (“Fatal Thirst”) and propaganda, warning people that consuming alcohol pushed up the price of fruit. Others simply campaigned for the notion that people in certain lines of work shouldn’t drink on the job. But prevention didn’t always work. As a result, Yugoslav alcohologists developed far-reaching measures to try to rehabilitate the individual alcoholic and enable them to enjoy the benefits of life without the drink. In the process, they created a system of treatment that would be exported to more than thirty countries around the world. Known by many as the Hudolin method (named for one of its primary architects, the Croatian psychiatrist Vladimir Hudolin), this approach came to dominate alcohol treatment in many of the countries’ urban centres. For the most seriously-embattled patients, the programme started with an in-hospital stay. Treatment relied upon the concept of the Therapeutic Community (picked up by Yugoslavs who trained in the UK under Maxwell Jones). Playing a central role in their own treatment (with many decisions related to institutional life left to the whims of vote and consensus), patients in Hudolin’s Therapeutic Community were to regain self-confidence and a recognition that they themselves were the key to defeating the drug. As a central contributor to the global social psychiatry movement, Hudolin also sought to enable his patients to receive treatment away from the hospital, ensuring that they stayed within the community while they battled their dependence. Since society itself was partially to blame for their condition, it was important that they learned to ‘get on’ in that very same society as they struggled against their disease. “Society” itself would also receive treatment. Hudolin’s plans required friends, families, and co-workers to play a role in rehabilitation, many being brought into the clinic to receive special education on alcoholism. Finally, patients would form into post-treatment clubs of “treated alcoholics” to provide mutual support and a dry social environment. Hudolin’s groups were not merely aping Alcoholics Anonymous – these clubs differed significantly. To begin, they continued to rely upon medical staff whose work veered between coordinating and counselling. Moreover, these groups were not anonymous at all – members actively went out into society with the aims of educating and changing public opinion regarding alcohol consumption. Although loosely organized, these clubs also existed as part of a broader federal structure, with nation-wide meetings held sporadically to honour those whose work, commitment to the cause, and sobriety were deemed noteworthy. Yugoslavia didn’t last. The alcoholism treatment programme it developed, however, continues to operate in dozens of countries across three continents.